Smelting is the process of extracting a metal from its ore.
Smelter lifting machinery finds its natural application within the demanding metal production industry: iron, aluminium, copper, steel, lead and other types of mills require quality, durable equipment that can endure the load handling challenges and dangers involved in smelting operations. Smelting is the process of extracting a metal from its ore. Most ores are mixed chemical compounds and must be processed in order to get rid of any impurities before industrial application. 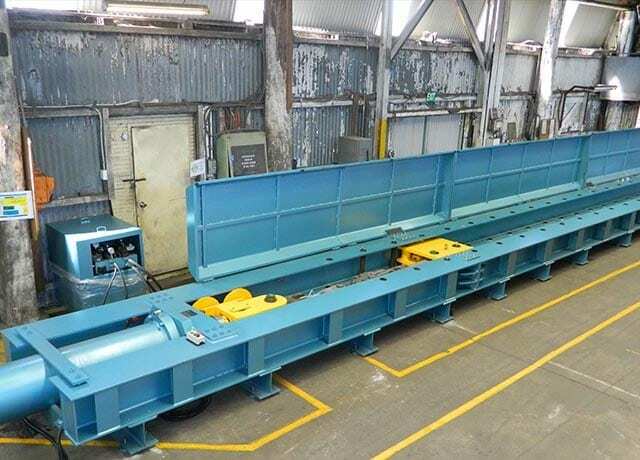 In order to lift, transport and pour molten metal between the furnace and the various containers, high-grade smelter lifting equipment is required. Smelter lifting equipment must withstand some of the world’s harshest production conditions, which involve high temperatures, heavy loads, and extremely corrosive environments. Safety, reliability, and durability are fundamental characteristics for this type of machinery. Even so, smelter lifting equipment can be irreparably damaged if handled improperly. Accidentally dipping a hook into a pot of hot metal, for instance, will irreversibly change its properties and make it unsuitable for further use. Reliance Hexham is a fully integrated supplier of smelter lifting equipment, from design and manufacture to testing and maintenance. Our engineering department works closely with our customers so as to ensure that we deliver the most suitable product for its desired application. We test both our own and third party-supplied products to certify compliance with the relevant Australian Standards and provide skilful refurbishment for in-service equipment. Our smelter lifting equipment services are detailed below. We know that every client faces different challenges and employs a distinctive set of manoeuvres to carry out their operations. No smelting procedure is truly alike. Our engineers are professionally trained and highly experienced in understanding the requirements of our customers and developing unique solutions satisfying all relevant specifications. Our core strength lies in managing the process from beginning to end. This has allowed us to build an unparalleled experience within the Australian metal production industry. We believe that one of the factors behind our success lies in our proprietary engineering process. As soon as a customer approaches us with a particular issue they are facing, we delve deep into the unit’s specific operational requirements and systemic application. This allows us to create a concept that’s just right. We like to present it with a 3D model so that you can give us your honest feedback and we can make any necessary amends. Our detailed design phase follows: through the use of sophisticated software and accurate documentation, we convert our concept into the final design. Our method is permeated by a system of continuous checks to ensure that you get precisely what you asked for. Additionally, we will specify testing requirements and put together a user manual to ensure maximum safety and service life. One example of a project was a steel mill requiring a set of custom-made, oversized hooks suitable to lift large molten pots of steel. 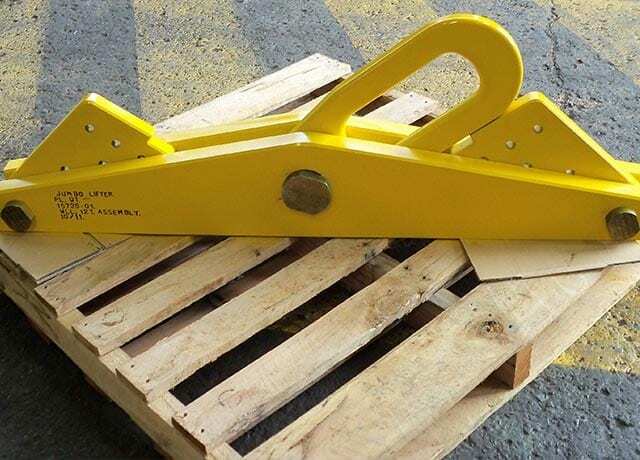 Our team has been able to design and manufacture this unique piece of smelter lifting equipment according to the desired specifications. Reliance Hexham is equipped to carry out in-house manufacturing of own-designed and third-party-supplied smelter lifting equipment. We can manufacture an entirely new piece, or rebuild an existing one, employing high-quality materials such as carbon steel. Finishing: on request – the product can be painted, galvanised or treated according to your exact specifications. Upon delivery of your equipment, we will release full certification specifying working load limit and tests carried out. Reliance Hexham can overhaul, repair and recertify your existing lifting equipment ensuring it is 100% safe and fit for purpose, effectively prolonging its service life.